Whether you are selling your business or are interested in acquiring a new business in Parkersburg, WV, it is critically important to know its true, objective value. The business valuation experts at Carte Hall Certified Public Accountants will ensure that you are receiving a fair deal whether you are the purchaser or seller of the business. We take the guesswork out of the process. Call us today and we will thoroughly analyze all relevant aspects of the business to provide you a true and accurate assessment of its worth. Starting a new business can be exciting, but it can also be intimidating. Make sure you are fully enjoying the experience of becoming a business owner by consulting the finance and business strategy experts at Carte Hall Certified Public Accountants. Our team will help your new business get off to a strong start, and maintain its success, while you spend time focusing on your business, your customers, and your plans to expand your operations and profit margin. Carte Hall Certified Public Accountants provides exceptional tax preparation and filing services for individuals and businesses in Parkersburg, and throughout our West Virginia service area. Life is hectic and crunching numbers is the last thing you want to do. Let us handle it all for you. Simply call to schedule an appointment and leave the rest to our team of professional accountants. Your taxes will be filed accurately and all applicable tax breaks will be applied so you can rest easy knowing that all is right for another year. 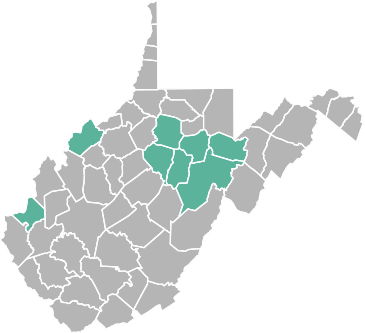 The business world in Wood County, WV, is competitive. Simple and complex problems arise all the time. It is difficult to deal with the constant barrage of business issues and not feel completely overwhelmed. Do not give up. An easy solution is available. The experienced business consulting experts of Carte Hall Certified Public Accountants understand all of the issues that businesses encounter as they are formed and grow. We provide guidance, answers to your questions, and effective solutions to help your business remain efficient and increase its profits as it gains a foothold in the world. Call us today to schedule an appointment to meet with one of our certified public accountants and/or business consultants. We have extensive experience creating successful strategies and identifying solutions to resolve whatever problems are affecting your business now and into the future.